Let’s face it, if you’re filing a car insurance claim it’s because something unexpected and unwanted happened to your vehicle. That means you’re probably already frustrated, angry and inconvenienced. The next part is filing an insurance claim. It sounds daunting, but it doesn’t have to be. Don’t worry, we can help! The best way to assist in moving claims through the system is to provide as much information as possible from the start. This can help avoid delays later in the process as a result of unanswered questions. Document all of the details and use your smart phone to take pictures. They’ll save you a thousand words later. Consider keeping a disposable camera in your car and do your friends and family a favor by suggesting they do the same. Here are the rest of our recommendations to help you if you need to file a car insurance claim. 1) Make Sure Everyone is OK! This one probably goes without saying, but the health and well-being of everyone involved is paramount. 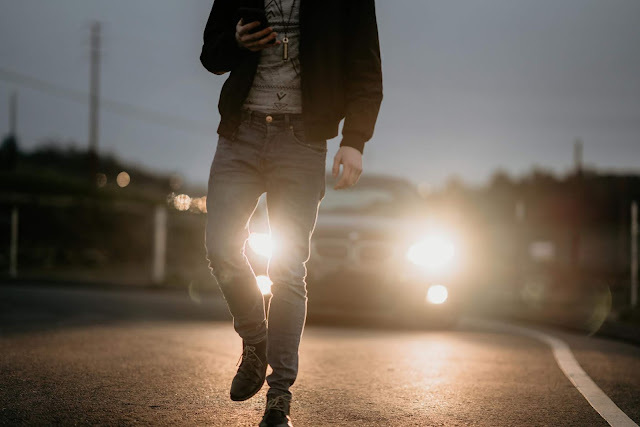 · If anyone in your vehicle was injured as a result of the accident you will need to provide their name and address to your insurance company. ● Insurance and license information - if possible take photos of both their license and insurance card for future reference. ○ Was anyone around to see what happened? You’ll need their information as well. A police report will be useful in helping the insurance companies sort out what happened and make sure that the entire incident is on record. It can also help prevent any he said/she said complications in the process. If you are filing your claim due to theft or vandalism the police report will verify the veracity of your claim and help hold the responsible parties accountable, if and when they are apprehended. Now get your insurance card and call your insurance representative. They’ll want your policy number and they’ll have some questions. Be prepared to explain the situation in detail. If that means you need to take a few minutes to steady yourself, take them. Breathe. At NYCM Insurance, our team is here for you. Not just to help you get your claim in the system, but to help you through the process. This is the time when you should inquire about any coverage details that you are unsure of. If your vehicle cannot be driven ask your insurance provider about towing or rental coverages that may be available under your policy. In the meantime, protect the vehicle and don’t drive it if doing so will exacerbate the existing damage. An auto appraiser will be assigned to your claim. That is the person who will inspect your vehicle to assess the cost of the repairs. Some insurance companies require you to go to an inspection site to get an estimate while others will do an inspection while your car is in your driveway or at a repair shop. Your auto appraiser will do their best to schedule a time and date that works for both of you. After getting an appraisal of the damages, you will then be able to get your car fixed. Some insurance companies have recommended repair shops but you have the option to use any repair shop you prefer. During this time, you may need a rental car. Check your policy to see if and how much rental coverage you have available. The amount you will have to pay out of pocket depends largely on your deductible. Your deductible is the amount you agreed to contribute toward the repair costs. If you aren’t sure what your deductible amount is, make sure to ask about it when reporting the claim or when you meet with your appraiser. Depending on your situation (i.e. you have a lienholder) your insurance company may pay you directly or you may be able to have them pay the repair shop. If you still have questions, NYCM Insurance offers a 24-hour claims service, so we are here whenever you need us. Call us today at 800-234-6926.